There is no comment for today. 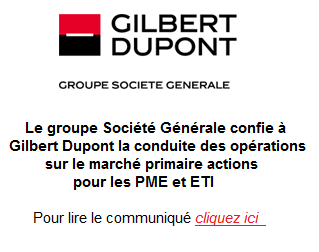 In securities intermediation and financial operations, Gilbert Dupont is currently one of the leading players in the French small and medium-sized companies (“Small & Midcaps”) segment. It draws together some of the most significant dedicated resources in the Paris market.